1. View to Sciora-Gruppe, Piz Cengalo and Piz Badile, Otto Furhter Verlag. 2. 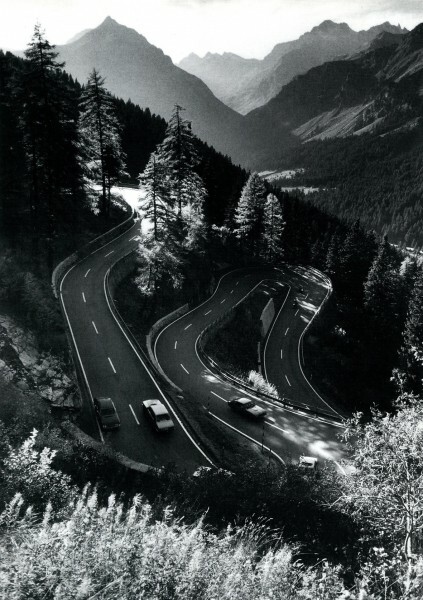 Maloja-Pass, Scheiegger-Spliess Verlag 1997, Ernst Scheidegger. 3. 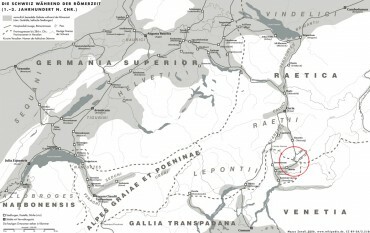 Historic Map of Switzerland 100-300 AD, Marco Zanoli 2006. 4. Village Stampa, Foto Bernhardt, Huttwil. 5. 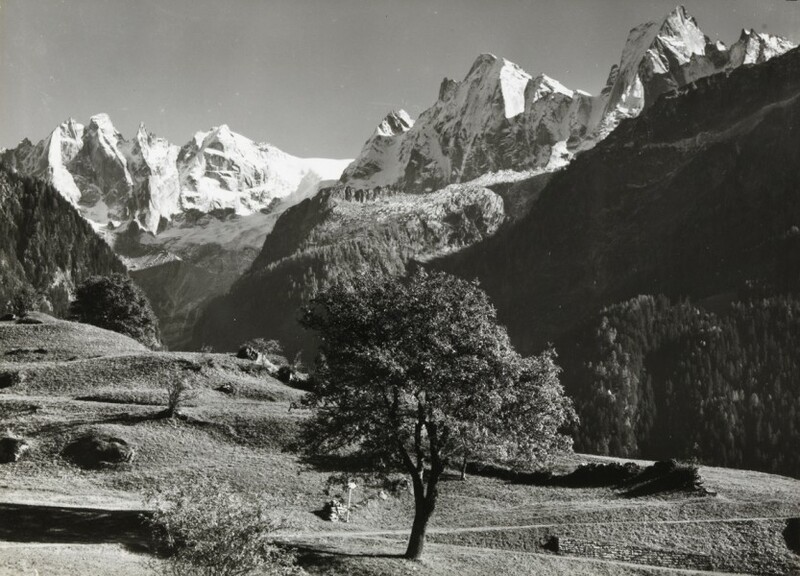 Landschaft bei Stampa, 1952. Alberto Giacometti. Bündner Kunstsammlung Chur. 6. 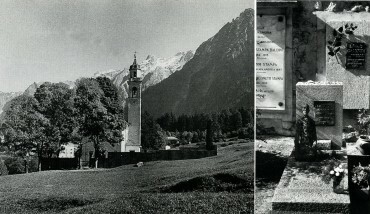 Borgonovo cemetery, Scheiegger-Spliess Verlag 1997, E. Scheidegger. 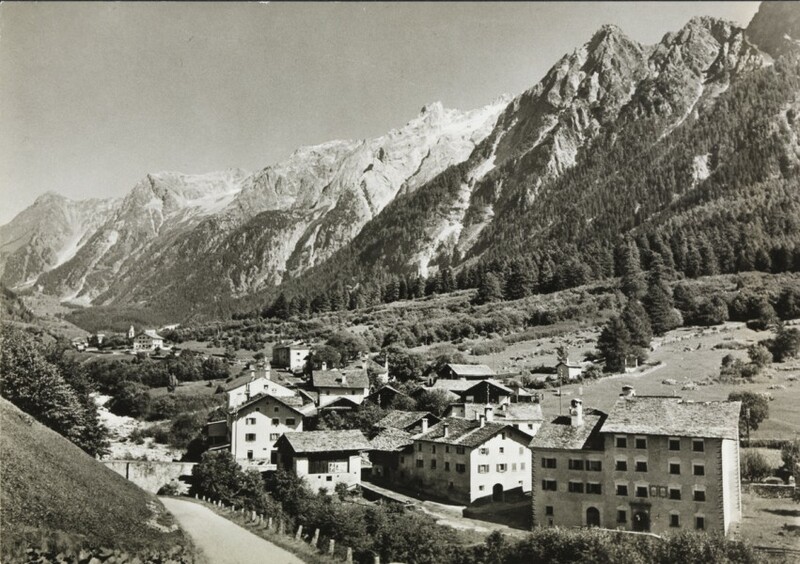 Historically the Val Bregaglia was a part of Gallia Cisalpina Transpadana. Around the first century AD under the prefecture of Como the Romans invested in streets connecting the north with the south of the Alps. These reinforced passes between the Germans and the Romans increased the importance of alpine transit valleys. After new passes such as the Gotthard and the Splügen were built in the 19th century the Val Bregaglia lost again its favourable commercial position and was forced to focus income again more on agriculture. Another rather specific character of the Valley of meaning for the Giacometti’s was the economically driven emigration, which had its beginning in the different pest epidemics around 1350 to 1460 and lasted until the 19th century. Being extremely successful especially as bakers glazers in the beginning only in Venice than over the whole of Europe, they often returned back to their origins rich and wealthy. Many Palazzis or castles display path. 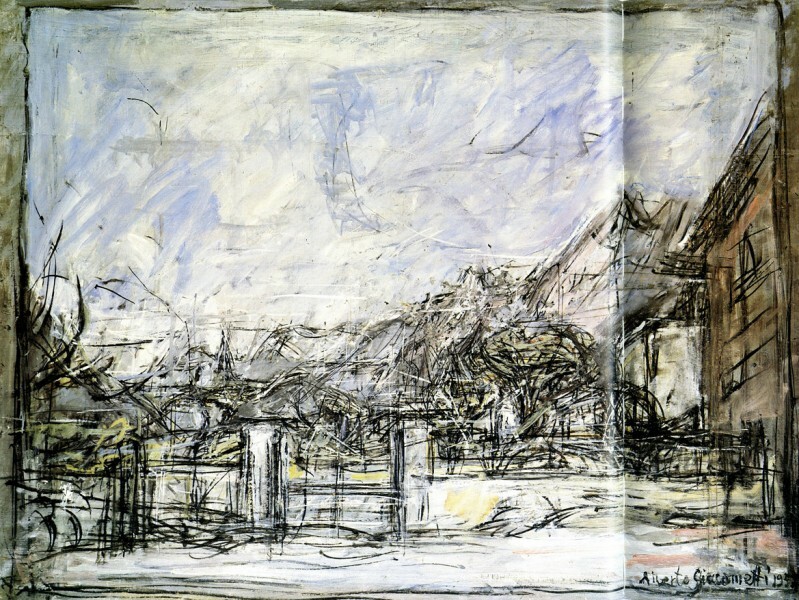 The grandmother on the mother side of Alberto Giacometti’s from the family Baldini owned a famous bakery in Marseille. The father of Giovanni Giacometti was also a successful baker.